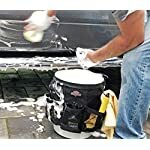 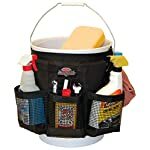 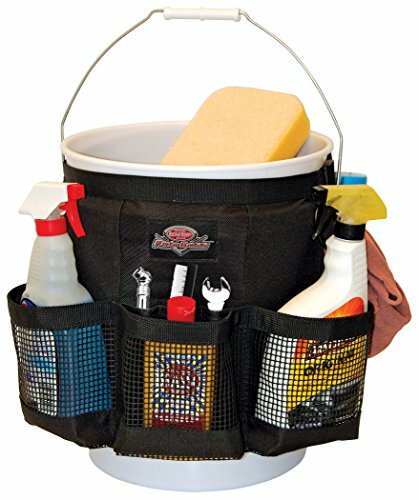 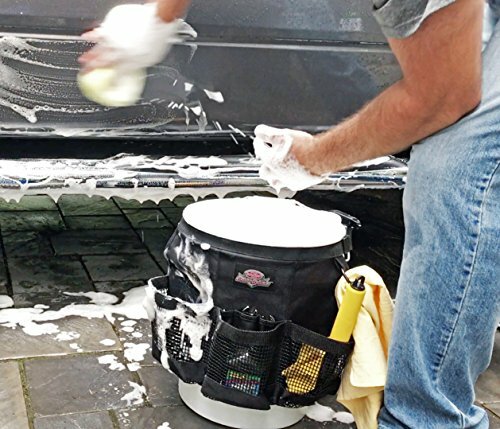 The Wash Boss stores car wash supplies and can be used with 5 gallon bucket. 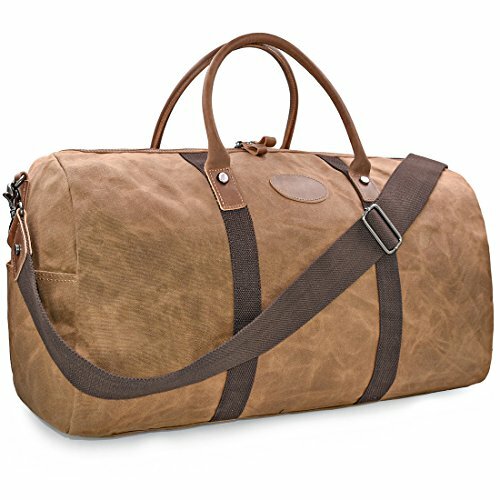 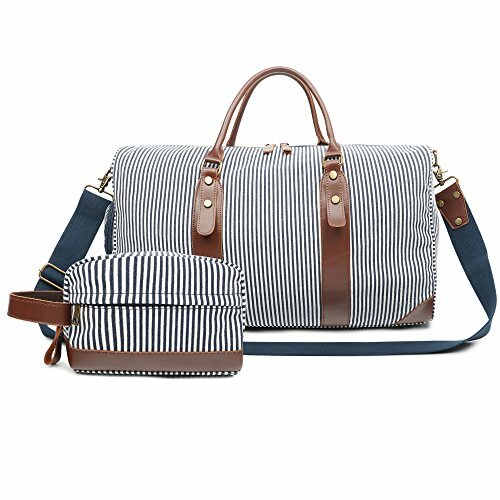 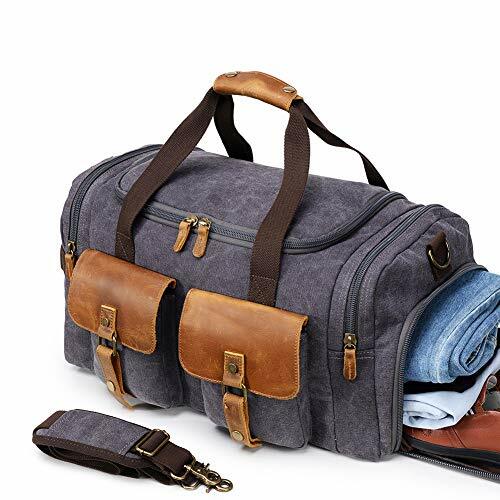 There are 3 pockets on each side, and a ring on one side holds a towel. 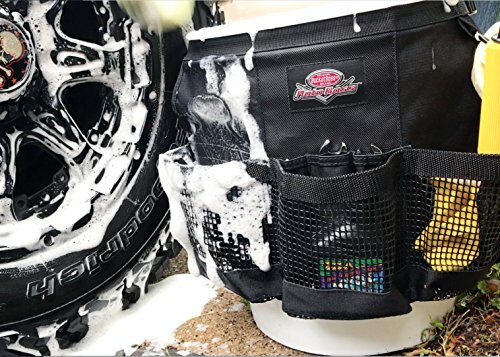 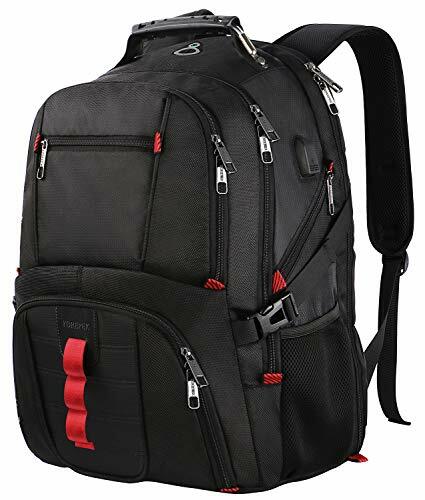 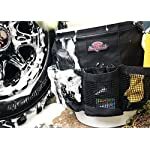 The water resistant mesh pockets allow wet supplies to dry quickly.